Family owned and operated, clean and cozy rooms in Salida. 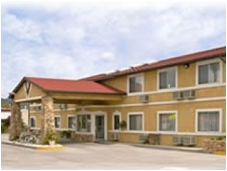 Rooms have refrigerator and microwave, coffeemaker, cable TV, free local calls, free high-speed wireless Internet. Pets OK with additional fee. Free early check-in. Parking is in front of your room, ample space for truck and RV parking at the rear of the property. Discount tickets to the Salida Hot Springs Pool, just 1 block away. 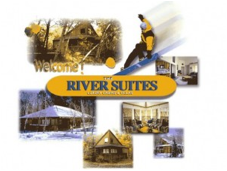 Six motel rooms, cabins, and campground all located alongside the Arkansas River. Family-oriented fun, including horse-drawn hayrides, live music and cowboy suppers. Pet friendly. Call ahead to reserve entertainment package. Private parties welcome. Open Seasonally. Affordable, clean motel that is family owned and operated. Rooms are all ground level with a variety of styles including some with full kitchens, others with kitchenettes; free wireless Internet, refrigerators, coffee pots, and microwaves. BBQ grills, vending machines. Motel is clean and comfortable and has free wireless high-speed Internet, guest laundry; kitchenettes, microwaves, refrigerators, and microwaves available; pet friendly, packages available. Hotel has an indoor heated pool, guest laundry, free wireless high-speed Internet in public areas, free coffee in lobby, free local calls and weekday newspaper, complimentary breakfast, complimentary newspapers, oversized guest rooms, meeting room. 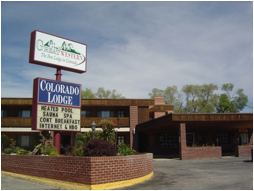 Relax at Days Inn, Salida, Colorado and enjoy a complimentary continental breakfast and free local calls as well as free in-room high-speed Internet. Pet friendly. 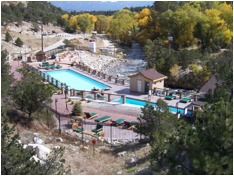 Lodge is next to Salida Hot Springs Pool, offers high-speed Internet access, breakfast; has its own indoor pool and is pet friendly. 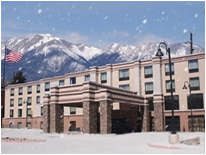 Newer hotel in Salida (built in 2011) with signature bedding, free Wi-Fi, free wired high-speed Internet, complimentary breakfast, coffee in lobby, guest laundry, ski shuttle, complimentary weekday newspaper, indoor heated pool, meeting facilities. Hotel has been newly remodeled, all rooms offer free wireless high-speed Internet, coffee makers; indoor pool, complimentary breakfast, newspapers, and coffee in lobby. Resort offers variety of lodging options from lodge and cliffside rooms, to rustic creekside log cabins; pools from natural hot springs, also thermal creek pools, spa, restaurant, full-service event and wedding hosting, country store. 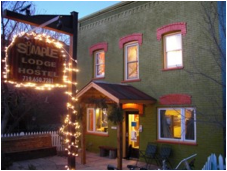 Boutique downtown Salida hotel, originally established in 1909, offers 14 suites. Walk out the door for downtown shopping and dining. Complimentary continental breakfast, complimentary tea and fresh ground coffee. Kitchenette, flat screen TV, climate control systems. Wi-Fi available throughout the hotel. Friendly, knowledgeable staff aims to give guests peace and tranquility in an upscale lodging facility. Conveniently located at “The Crossroads of the Rockies,” at the junction of Highways 50 & 285 in Poncha Springs, Colorado; minutes from Salida, 15 miles from Monarch Mountain. Clean cabin-like rooms with free local calls, complimentary coffee, picnic area, pet friendly. Call for reservations. Luxury cabins & villas beautifully furnished on 7 acres w/mountain views, 9 minutes from Monarch Ski Resort. 53-inch TVs w/satellite reception, DVD/VHS/CD, HBO, free unlimited long distance telephone calls, satellite Internet, full kitchens w/ pots & pans, microwave, sleeps 5 to 12, king size beds w/300 thread count sheets, queen sofa sleepers/aerobeds, BBQ grills, surrounded by beautiful aspen trees, Arkansas River edges property. Motel features single rooms to suites—including a honeymoon suite, backyard cottages, seasonal outdoor heated pool, free wireless Internet, meeting rooms, continental breakfast, in-room coffee. 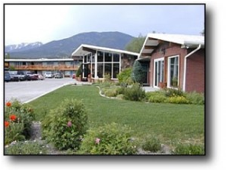 Lodge sits across the road from Salida Hot Springs Pool, has its own heated outdoor swimming pool, sundeck, Garden Room—spacious area to enjoy your continental breakfast and a great place for meetings, comfortably seats 35-40 persons. Independently owned and operated, friendly and affordable. Motel has indoor swimming pool, complimentary continental breakfast, coffee in lobby, in-room coffee makers, guest laundry, sun deck, free high speed Internet, microwaves and refrigerators, rollaway beds, cribs, pet friendly, packages available. 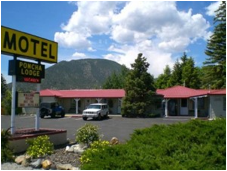 Located in historic downtown Salida, offers affordable lodging for travelers and recreational enthusiasts. For $21 cash ($23 w/credit card) a night plus tax, guests receive a bunk bed, access to the kitchen, shower, common area, outdoor patio, free wireless Internet, coffee, pancakes, and bikes to get around town. The Simple Lodge & Hostel is designed to provide a community-based lodging experience, where people can stay, play, and create memories with other travelers. This entry was posted in Sidebar1 and tagged art fair, arts, arts festival, Colorado, hotel, motel, Salida, Salida Arts festival, Salida CO, where to stay.